The adoption of one-to-one (1:1) computing programs across US schools is making a huge and positive impact with students. The learning program aims to provide every student access to a laptop device. According to a Michigan State University study, research has shown that 1:1 programs have increased student test scores across multiple subjects. While students are seeing a benefit, educators are changing the way they teach to accommodate the use of technology in the classroom. That’s where the Chromebook comes in. The top research university survey shows educators are adopting technology at a high rate with more than 50% of them using it in the classroom. The survey shows teachers now have a one-to-one student-to-device ratio. As a result, the use of Chromebook laptops have increased throughout classrooms across the country. Chromebooks are armed with the tools and apps that encourage students to learn. Google Apps is easily integrated within the Chrome browser, making it easy for educators to organize and develop course content. In addition, the Chrome App Store provides educators an endless amount of technology apps they can implement in class. 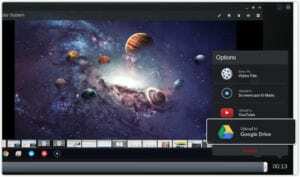 One technology app that educators are gravitating to is the Screencast-O-Matic Chromebook screen recorder. The app records video of a computer screen or webcam which enables educators to create videos including tutorials, lessons or projects. 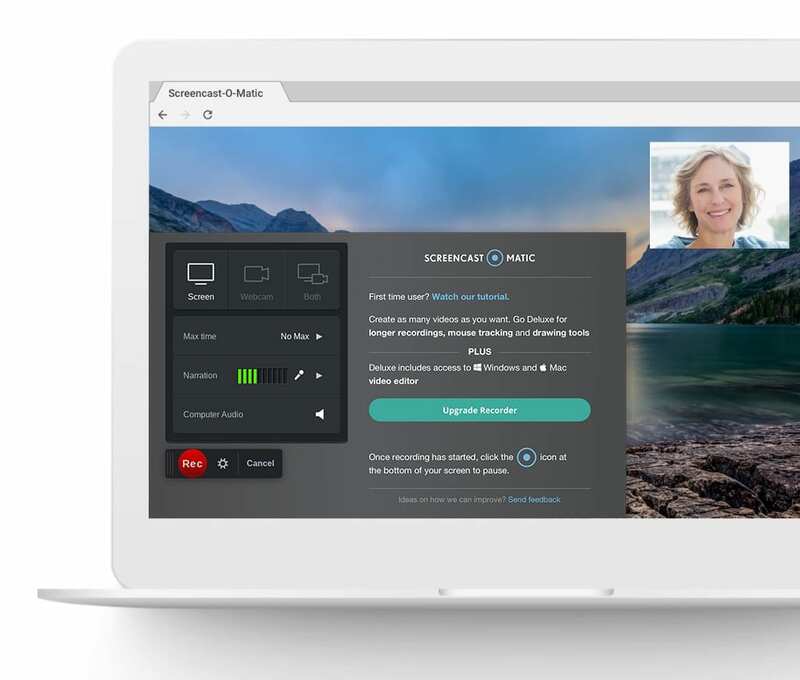 With video, students are able to drive video conversations with their teachers or use it for classroom projects. Screencast-O-Matic also has a Chrome browser extension that is free. With just a few clicks, users are able to create videos and share them easily in class. Unlimited Recording Time: Fifteen minutes may not be enough. A Deluxe plan gives users unlimited recording time. Unlimited Amount of Recordings: Create an unlimited amount of recordings. Record your webcam or screen: The easy recorder gives users the ability to record their screen, webcam or both. Add Audio Narration or System Sound: Add a voice to personalize videos or utilize computer audio to enhance the sound of your videos. Drawing Tools: Customize a video by using drawing tools. Customize the color of the ‘pen’ to the width of the line. Users have the ability to point out specific areas in a video. Mouse Tracking and Click Effects: Highlight and track mouse movement. It helps track the movement of the video making it easier for viewers to follow. Trim Edit: Trim your video down from the beginning or the end of a video. Quick save to Google Drive or Save Video File: Save your screencast recordings and videos as a file on the computer. Users are able to save directly to Google Drive which is beneficial for those utilizing Google Classroom. Publish and Share on YouTube: Publish videoso directly on YouTube and share within minutes of upload. 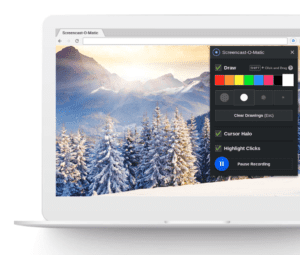 The Chromebook screen recorder is free to use. A subscription unlocks drawing tools and additional features. With a paid subscription, users can log in to multiple devices to access advanced tools on their PC/Mac or Chromebook. Here’s a tip: Easily import Chromebook video files to a PC or Mac and enhance them with advanced editing tools. Video enriches the classroom experience and helps build connections with students. With 1:1 programs, students are able to have more authentic relationships with educators through video.